Do you own a cowhide rug in Sydney? How do you clean a Cowhide Rug? 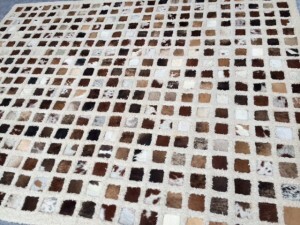 Recently Devine Rug Clean had the privilege of cleaning a cowhide rug. But it was not a straight cowhide rug. It was a wool and cowhide rug! 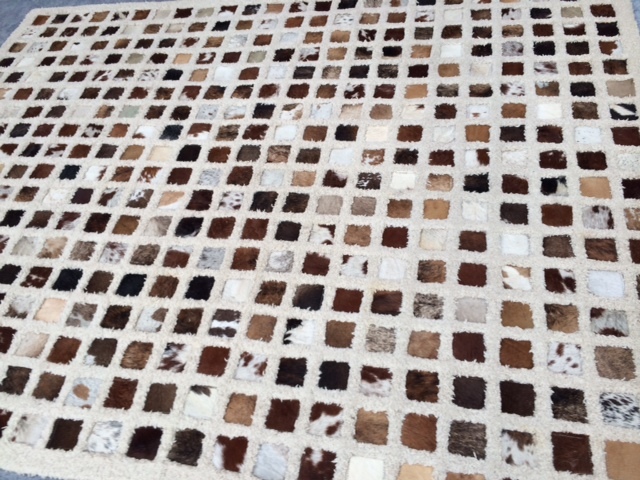 We estimated the value of the wool and cowhide rug at around $4,500. So it was a special accent piece of the customer's home. The problem: We have found that the back of leather rugs get mould from sitting on the floor and sweating. This beautiful wool and cowhide rug was suffering from unhealthy and ugly mould spores. The solution: Because there are two different materials in this rug, the wool rug component and the cowhide rug component, special knowledge is required in choosing the correct cleaning detergents as some can be harmful to the leather. We first treated the rug with a mould eradicator. This will not get rid of the mould marks, but will kill the mould spores and not allow them to grow. We then used our low moisture method to clean the whole wool and cowhide rug. Ongoing care: We have recommended to the owner that once a month, the rug should be turned over and aired so that the mould will not begin to grow again. Your rug will be Refreshed, Restored and Revitalized to our Blue Ribbon Standards.